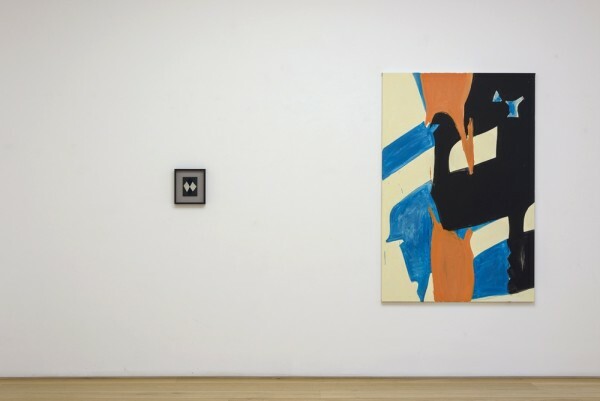 “I never thought I’d see you again” is not exactly about history painting.Neither obliged to any style, nor explicitly referential to particular precedents, the exhibition begins with the premise that painting, more than any medium, is always driven by its own genres. Painting is persistent in the history of art precisely because of the specificity of the styles and idioms it adopts or quotes. Even if contemporary painting is underpinned by a conceptual framework, it is almost impossible to avoid some reference to that almost infinite list of established modes – landscape, portrait, still life, formalist, expressionist, to name a few. But rather than painting being a reiteration of its past, the recognition of, and resistance to, these conventions makes it a site of constant renewal. No longer bound to such polarities as figuration or abstraction, contemporary practice takes the idea of painting as a given. It co-opts genres without hierarchy or priority, and as a type of shorthand or economy of expression. That is to say, we recognise something in the ‘style’ of the painting. We speak its language, because many of the conventions of painting are all around us in the visual information we negotiate every day. We recognise the conventions, from perspective to painterly gesture, even if those conventions are put to work for different purposes. And it is less about what an image in the painting might convey, than the means through which that image or gesture is achieved. The exhibition does not try to find a unified style for painting today, but recognises that there are modes in which the painter may operate, perhaps without long-term commitment, but also without irony. Painting is never without reference, context or precedent. It always carries with it many memories and legacies and at the same time appears thoroughly regenerated.